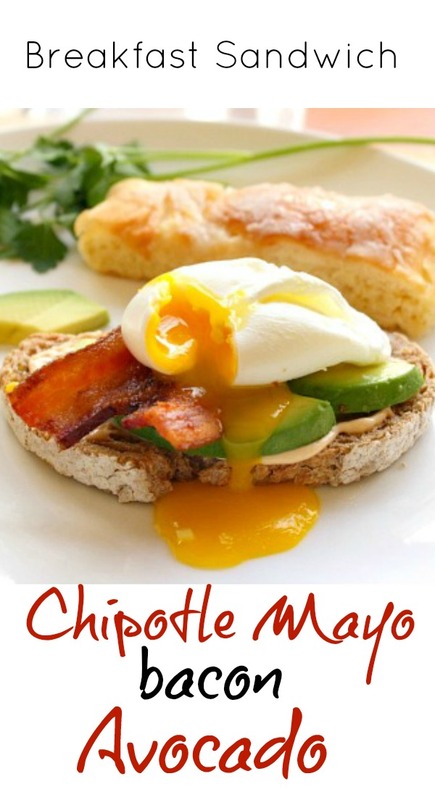 Chipotle mayo breakfast sandwich idea. This is right up your chipotle obsessed, Mexican food fetished, breakfast crazed, runny egg lovin’ alley? Toast, Chipotle mayo, bacon, avocado and poached egg, what’s not to love about this breakfast sandwich recipe. This one comes together in a jiff…let’s take a look. First whip together a simple chipotle mayonnaise. In a bowl. Combine 1/2 C. mayonnaise, 1 chopped chipotle pepper, 1 teaspoon of the adobo sauce and a good solid squeeze of lime juice (about 2 teaspoons). And top it with a beautiful poached egg. 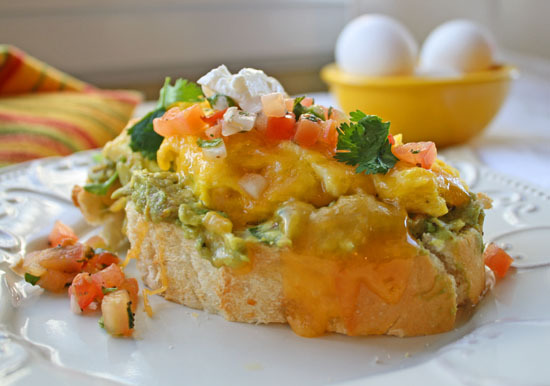 What an easy Mexican breakfast sandwich and so DEElicious I may have to have it every Sunday for the rest of my life. A side note: Do you see that strip of pastry in the background. My friend Karen made this and brought it to our Saturday Front Range Blogger Meetup. I insisted on the recipe and she just posted it over at her site; Eat Drink and Wash Up. You owe it to yourself to check it out. It’s so good that a slice of it may have to be part of my every Sunday breakfast . 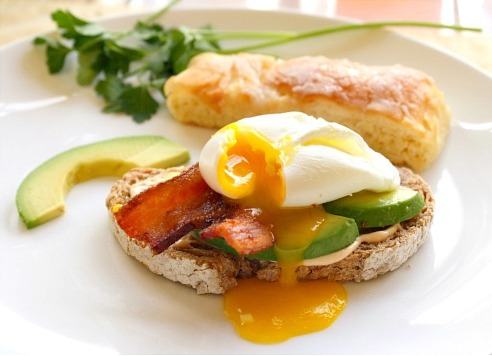 Chipotle Mayo, Bacon, Avocado and Poached Egg Open Faced Sandwich …It’s What’s For Breakfast. Chipotle + Bacon + Avocado = Delicioso! You are talking my ingredients chica! YUM!!! I agree chipotle is fantastic and paired with mayo, it’s makes almost anything heavenly. Great breakfast – how could it not be with chipotle, avocado, and bacon. Although I’d eat this for lunch and dinner too. Andrea, I’ve had chip0tle mayo before, but for some reason this combo is just right. Missed you at the meetup, see you next time. Simply beaaaaauuuuuuutiful! You have clearly perfected the perfect egg. If I had this for breakfast, I would just get back in bed and call it a wonderful day. What a flavor combo! Love this, sharing on fb and twitter, thanks for joining us at Saturday Dishes!